Add pleasure to your lifestyle and value to your home or business property with a durable, low maintenance steel patio or awning from Garage World. Add pleasure to your lifestyle and value to your home or business property with one of the durable, low maintenance steel patios or awnings for sale from Garage World. Need more information before you purchase an awning? 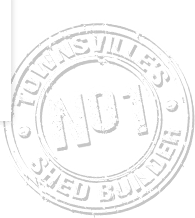 Come and see examples and talk to the patio and awning experts at Garage World Townsville or apply online for a free patio or awning quote today.